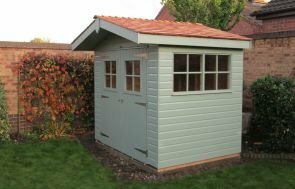 Measuring 1.8 x 2.4m, this attractive garden shed has a pent roof covered in heavy-duty, heat-bonded felt and smooth exterior shiplap cladding coated in our Light Oak preservative stain. This stain allows the natural beauty of the wood to show through and so merges well in rural and natural gardens. 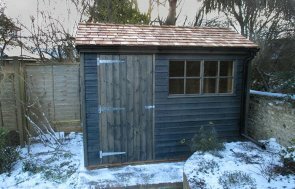 The shed also features both a fixed and opening window in the length of the shed beside a single access door. Internally, the building has a sturdy workbench beneath the windows to allow the customer to pursue hobbies and interests while enjoying the natural light and ventilation provided. 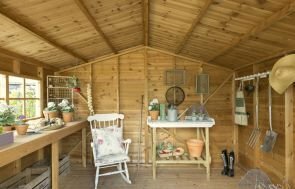 If you would like to browse our range of garden sheds, you can do so by visiting one of our show sites that are based in various locations around the UK. Locate your nearest here. 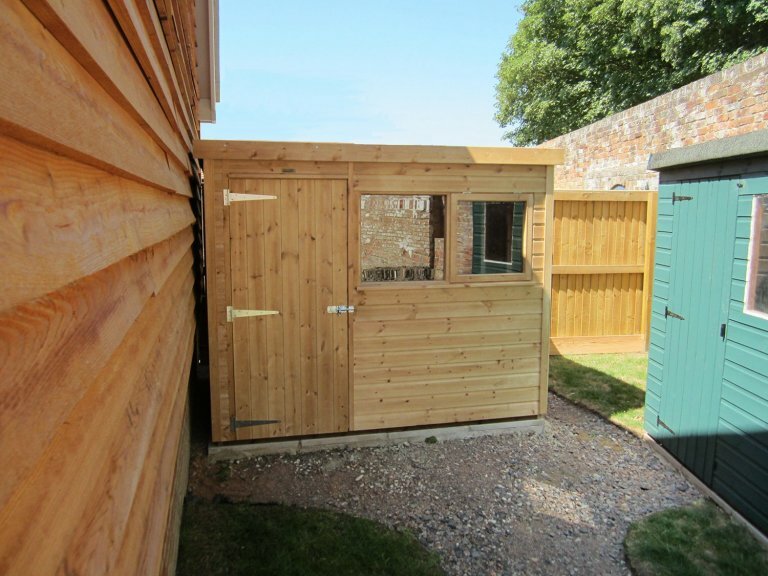 Alternatively, you can continue browsing online or contact us on 01760 444229.